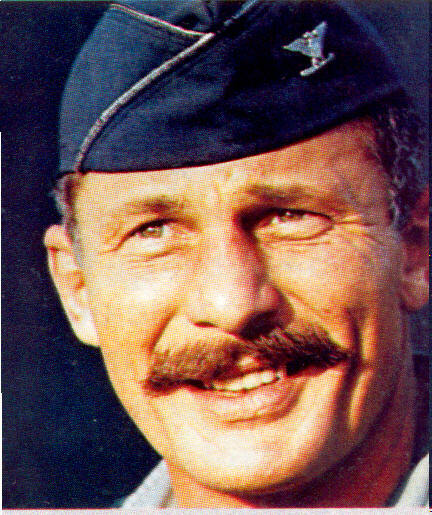 He was also an outstanding fighter pilot: on the first day of the operation (January 2 1967) he personally shot down one MiG-21 with two AIM-9s while flying an F-4C Phantom. During Vietnam he was credited with 4 kills, only one kill short of becoming a “Double Ace.” He already was a WWII Ace with 12 victories. By Diego Zampini, Oct. 2002. Updated March 22, 2012. This article is dedicated to the American pilots who bravely fought and/or died over South East Asia despite the unpopularity of Vietnam War in their country, and to the Vietnamese pilots who challenged the most powerful nation of the world in defense of their homeland, specially the ones who were killed in the attempt. During the last months of 1966 the MiG-21s of the VPAF (deployed in the 921st Fighter Regiment) became very active and successfully intercepting the F-105 formations of the USAF. According to their own claims, the 921st FR shot down nine Thunderchiefs in December 1966; particularly, the MiG-21 pilots claimed two F-105s on December 5, and three more on December 14. There are no recorded aerial combat losses from USAF on those days, but its records of POW/MIA/KIA show at least one F-105 lost in each December 5 and December 8. Note: The F-105 downed on December 8 1966 is very interesting, because it is mentioned in several documents sent by VPAF to the Soviet VVS at that time. But it is not officially claimed as a VPAF air-to-air kill in recent sources, including Toperczer’s book. Additionally, in recent times, the Russian VVS admitted that Soviet advisors in Vietnam were authorized to engage US planes as part of the training process or as temporary replacements for Vietnamese pilots wounded or killed. One of them, Sr. Lt. Vadim Petrovich Shchbakov, was credited with 6 kills during 1966. Despite the lack of accurate info about his victories, it is likely that the December 8 1966 F-105 kill should be credited to him. His victim was the F-105D BuNo 591820, piloted by Donald Asire (KIA). Setting aside how many of the VPAF claims are admitted by USAF, certainly the number of American planes lost to the MiGs worried the US, because the Air Force decided to make an important effort to neutralize the MiG threat: the effort known as Operation “Bolo”. 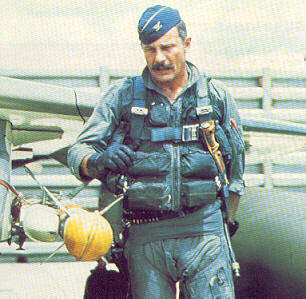 The idea and planning of this operation was the masterpiece of a living legend among the US F-4 pilots in South East Asia: Colonel Robin Olds. He was a P-38/P-51 Ace during WWII, credited with 12 kills against the German Luftwaffe in 1944-45, and now – at 44 years old - he was the CO of the 8th TFW (nicknamed “The Wolf Pack”). 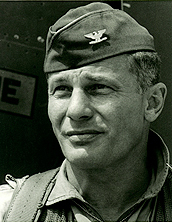 He was an “old-fashioned” fighter pilot: impulsive, rough, hard-drinking, but a natural leader and an intuitive tactician. He realized that the F-105 and F-4 formations used the same approaches time after time, and the SIGINT analysts in Hanoi became expert in identifying the more vulnerable F-105 "Thuds" from the F-4 Phantoms, from their radio frequencies and call signs. So Olds decided to fly Phantom F-4s using the same routes, altitude, and callsigns as the F-105s, ambushing the MiG-21s that would be guided towards them, expecting to find Thunderchiefs, and when they realized the truth, it would be too late for them. “The battle started when the MiGs began to get out of the cloud cover. Unfortunately for me, the first one appeared in my ‘six o’clock’. I think it was more a accident than a planned tactic. As a matter of fact, in the next few minutes other many MiGs started to exit from the clouds from different positions. A third enemy plane appeared in my ‘10 o’clock’, from the left to the right: in simple words, almost in the opposite direction. The first MiG zoomed away and I engaged the afterburner to get in an attack position against this new enemy. I reared up my aircraft in a 45 degree angle, inside his turn. He was turning to the left, so I pulled the stick and barrel-rolled to the right. In a few minutes, the pilots of the “Olds” flight claimed to have shot down three MiG-21s without suffering any losses of their own. As they started to withdraw from the aerial battlefield, the first round ended with a clear American victory, and the second one would begin soon. “At 15:04 my flight was attacked by three MiGs, two from the ‘10 o´clock’ and one from the ´6 o’clock´. Initially I didn’t see this last one because I had been concentrating on those approaching head-on. My RIO excitedly warned me about this rapidly approaching MiG, which was within firing range of my #3 and #4. I hesitated a while before interrupting my attack against the two MiGs in front, because I had seen the ‘Olds’ flight passing below us a few seconds before. I thought that the plane seen by my RIO could be one of them. Despite that, I suddenly turned left and then right, and caught sight of the third MiG. I ordered to my numbers 3 and 4 to break right. As they did so, the MiG broke left for some mysterious reason and for a split second we were side by side. We were so close that, besides the red stars in his wings, I could clearly see the pilot’s face. I began an horizontal barrel roll to get away from him and into an attack position, Once in position, I launched a Sidewinder. The missile missed because the evading MiG broke left at full throttle. But when he did it, he put himself in the line of fire of my number 2, Captain Everett T. Raspberry. I ordered him to follow the prey, because the two aircraft that I initially saw had been placed in my forward sector. I was in an advantageous position, so I fired two AIM-9s against them in a quick sequence, and I turned to place myself as wingman of my #2, Captain Raspberry. Even when the “Ford” flight scored only one kill, again there were no US losses in air combat, and the score of the day was 4:0 up to that moment. Everything was ready for the third round of the fight. “We flew at 13,440 feet (4,800 meters) above sea level and our speed was 540 knots. A little bit after completing a turn to the northwest, we identified a patrol of four MiG-21s in spread formation at a distance of 5 miles –about 8 kms- at ‘2 o´clock’ and below than us. Two more MiGs appeared 2 miles –about 3 kms- behind.
. . . When the MiGs crossed in front of Stone, he started to follow, breaking left and losing height. Due to that, the flight spread wide to the right, and I found myself higher and somewhat to the right than the others. I kept the throttle to the minimum during the first phase of the combat. So, the MiGs broke to the left, and the engagement began. I choose one of the MiGs and followed him with my radar. I don't think that we ever exceeded 4 g during the whole engagement. I decided to follow the Navy pilots' tactics - at close range foregoing the radar tracking, but looking thru the reticle instead. When I realized that I was in the right position, I pushed the fire button, released it, pushed it again, and waited. I did not even see the first Sparrow. Seconds later, another MiG-21 crossed the line of fire of the F-4C Phantom “Rambler 02” and was apparently destroyed by a Sparrow fired by its pilot, Lawrence Glynn, This, the third MiG-21 downed by “Rambler” flight, raised the final score of the day to 7:0 in favor of the American pilots. Certainly the Operation “Bolo” had a successful beginning. The Table below summarizes the American claims for the day. American Claims on January 2 1967. However, it must be noted that not all the American claims are officially confirmed by Vietnamese sources; the VPAF admits five MiG-21s lost that day, plus a sixth one whose pilot was forced to eject when he ran out of fuel. (The reason is not mentioned by VPAF sources, but it is likely that this could be combat damage caused by a US air-to-air missile hitting the MiG's fuel tank.) But even those sources admit that the Americans clearly won the air combat that day. The magnitude of the Vietnamese defeat can be seen by the fact that, excluding another air battle on January 6 (when two more MiG-21s were downed by F-4Cs of the 555th TFS of the 8th TFW) the MiGs did not even try to engage US fighters and fighter-bombers during January, February and the first half of March 1967. But in spite of the great victory obtained by USAF that day, it did not win the war. The VPAF was an evolving force that learned from its mistakes, and it turned back to the fight again and again, sometimes with a high degree of success, as the USAF losses in air combat in the months of April, May, August, and November 1967 clearly show. The aerial combat against the USAF during the whole year, the MiGs downed at least 32 aircraft (among them 16 F-105D/Fs, 2 RF-101Cs and one A-1E), plus 8 more belonging to the US Navy. The F-4C/D Phantoms of the 8th and 366th TFW continued a running battle against the MiGs in an attempt to keep them away from the F-105s, sometimes with their own successes: 36 out of the 59 MiGs claimed by the USAF in 1967 were obtained by Phantom pilots, 23 of them scored by the pilots of “The Wolf Pack” (all the remaining 23 were claimed by Thunderchief pilots of the 355th and 388th TFW), but there was a price to pay: at least 13 F-4C/Ds were shot down by the VPAF MiGs that year. It has never been established how many of those USAF claims were actual North Vietnamese losses, but most likely a great percentage (about 70%) will be ultimately confirmed. It is also clear that if “Bolo” hadn’t been executed, the USAF losses to the MiGs would have been higher. The USAF would have to wait until 1972 to obtain a similar success. NAM, Crónica de la Guerra de Vietnam 1965-75, Fascicle #6. Editorial Planeta-DeAgostini S.A. 1988. Aviones de Guerra, Fascicle #1. Editorial Planeta-DeAgostini S.A. 1996. Air War over North Vietnam, Dr. Itsvan Toperczer, Squadron/Signal Publications Inc. 1998. USAF Vietnam veteran Ralph Wetterhahn, who checked and gently corrected some of the data.